As promised, each month will be dedicated to one particular woman who has the power, guts and creativity to inspire the world when it comes to (but not exclusively) fashion. This month's dedicated to Miroslava Duma and for those of you (quite few I believe) who still don't know who she is, here's a little info. 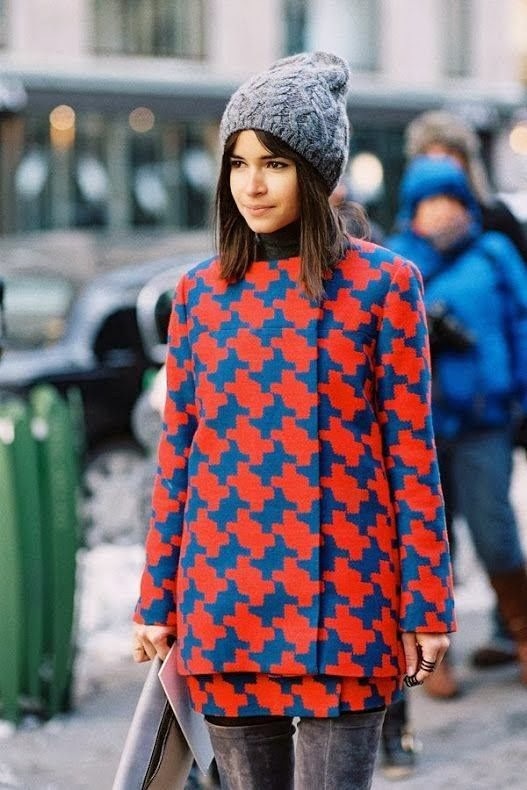 Miroslava Duma, or Mira to her friends, is one quarter of the glamorous troupe of women known affectionately as 'the Russian mafia'. Positively stalked by Tommy Ton et al, they have dominated street style blogs since they arrived on the scene a few seasons ago, conspicuous for their unbounded yet impeccable taste in high end designer wares. She is the former editor of Harper Bazaar (the Russia edition) and currently the founder of Buro 24/7, a website dedicated to fashion, art, architecture, cinema, music and style and is now a freelance writer. An Eastern European version is available by license, and there are plans for an English, Asian, French and Arabic version, and even Buro cafés and bars. Personally, I truly believe Mira is the Russian dragon lady of fashion & couture. She has this unique and flawless eye for impeccable combinations and the guts to mix & match seemingly incompatible items into a style dream look. This is a selection of my favorite looks and I know it's quite large but believe me when I say it's quite impossible to dismiss any of her outfits. Perfect burgundy leather and nudes combo. This is by far one of may favorite looks because it seems so simple and easy yet looks so fresh and amazing. In love with this look also, she makes over the knee leather boots look actually cute (instead of fierce). And who said she can't do sporty chic just as well? My working day can't be limited to 12 hours. I'm in touch with our editors 24 hours a day because when it's bedtime in Moscow, where I live, it's afternoon in New York. I'll have a few business meetings - collaborations between Buro and other brands, advertising, new projects - and I'm constantly keeping an eye on the news. If I have some spare time, I'll visit exhibitions but I love to hang out with my family. My two-year-old son, my husband and my family are my priority. How would you define the Russian aesthetic? Last year we were all obsessed with beautiful silhouettes and perfecting lines. All the Russian designers have different signatures, though; Vika Gazinskaya's outfits often resemble Christobal Balenciaga's early work, for example, but updated with modern graphics. I love classic Russian literature - Gogol, Leskov, Turgenev, Tolstoy, Dostoevsky. Lately I've become fond of American literature; I'm reading Hemingway in the original English and his writing style seems boyish. I like the tight, athletic prose of The Sun Also Rises. I like to read several books at the same time - I've been reading Anna Karenina by Tolstoy and also Afisha magazine, a special edition devoted to the history of Russian media, simultaneously. Some say yoga is the answer; as for me, I like to eat Toffifee caramel candies. I have an ability to enjoy every single moment of life. I cherish an hour spent with my lovely son and another spent writing an article; I am an optimist. Also I can fly like Batman. But that's another story. She sure is fantastic! Totally wonderful lady with incredible style! A great inspiration! She's so fab. Wish I had some money to splurge on outfits like hers! !